"What if he IS innocent?" Saban Films + Lionsgate have released the first official trailer for an indie offbeat comedy titled The Escape of Prisoner 614, from first-time director Zach Golden. The film is about two inept, small-town Sheriff's Deputies who catch an escaped prisoner that they believe was wrongly convicted. There's some fun trickery and twists in this, as far as I can tell, and it looks kooky but very funny and quite smart, to be honest. 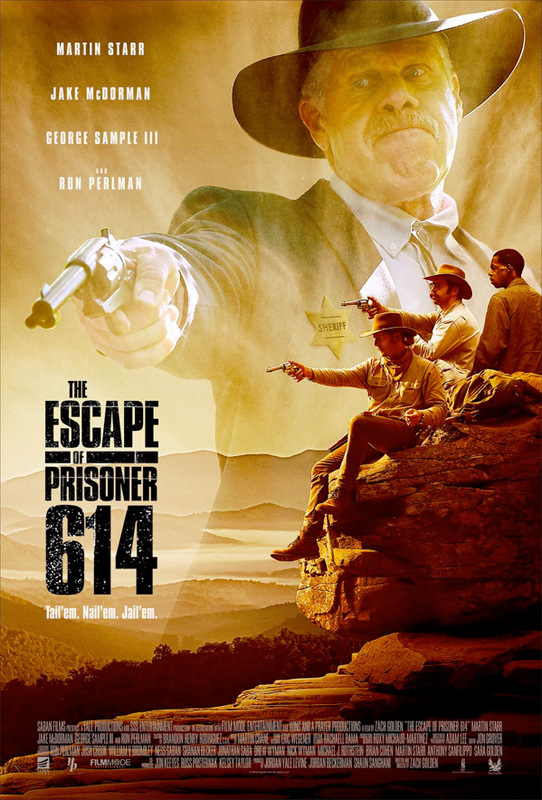 Ron Perlman stars as one of the sheriffs, with a cast including Martin Starr, Jake McDorman, and George Sample III as Prisoner 614. It reminds me a bit of O Brother, Where Art Thou?, but with a totally different feel. I'm digging the footage for this, will definitely toss it in my queue to watch. Ron Perlman is electrifying as a corrupt and cold-blooded sheriff in this contemporary western that delivers a double-barreled blast of action. After two deputy sheriffs lose their jobs because of poor arrest records, they purse an escaped convict to try and win back their badges. But nabbing the convict won't be half as dangerous as facing the ruthless sheriff who is tracking their every move. The Escape of Prisoner 614 is both written and directed by writer / filmmaker Zach Golden, making his feature directorial debut after working as a writer for "Gigi Does It" on TV. Saban Films will release Golden's The Escape of Prisoner 614 in select theaters + on VOD starting April 27th later this month. Who's interested in seeing this film?